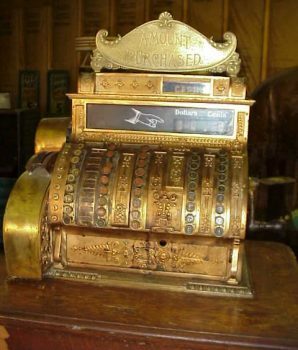 This is a rare 9-drawer model NVR brass cash register. Golden oak quarter sawn wood case. Every drawer has a different size bell with a different ring. 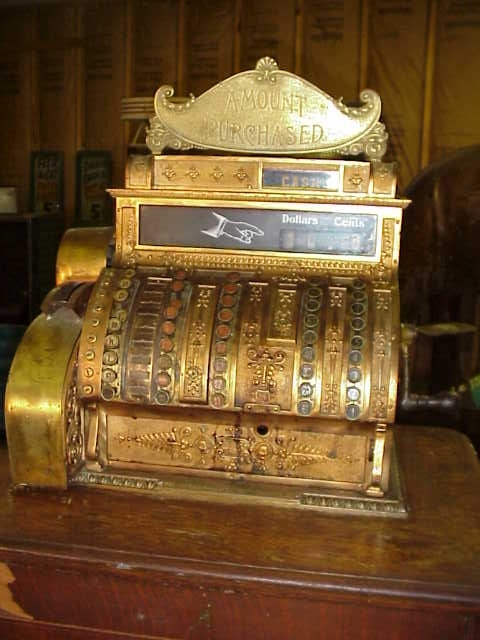 The register is signed, dated and includes original hand crank and marquee.